← Maybe the site admin had a sense of humor? 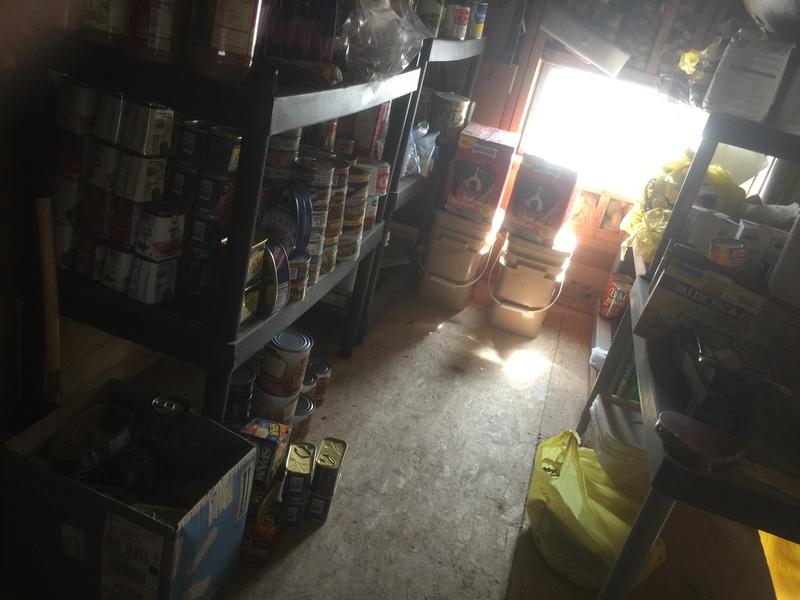 I spent much of the morning up in the pantry loft doing something I’ve been putting off for weeks now: Sorting out canned goods. Because I know how to have fun, and also I suspect “best by” dates on cans of meat might turn out not to be completely meaningless. Yeah – I need to scrounge another shelf. Anyway, I came down and was making lunch when Torso Boy apparently lost his mind in the other room. He was in the bedroom barking and snarling like Steven King had repeatedly threatened to tell him a bedtime story. 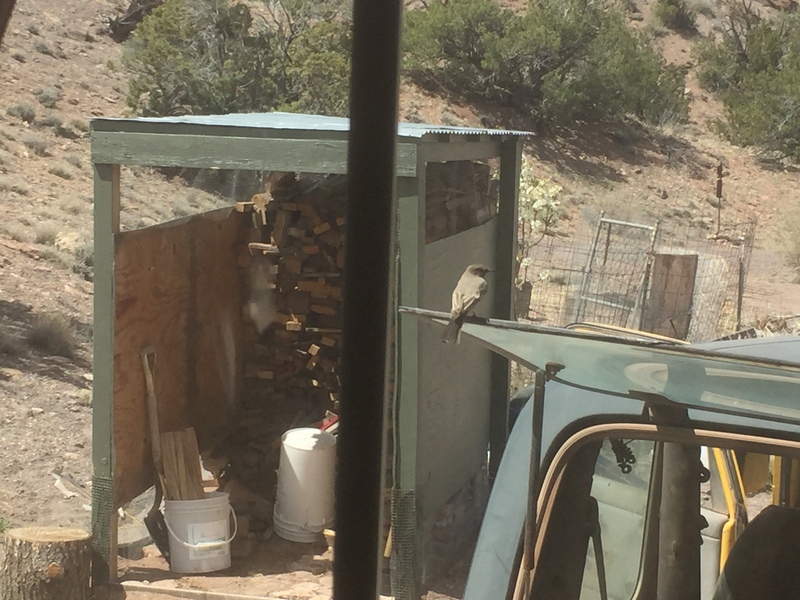 I hurried in there to find him fixated on the window facing the driveway, still carrying on. And what was the awful existential threat he was trying to drive away by hurling his unconquerable doggy will at it? He has pulled this before. For some reason any living thing that he can see approaching his house, no matter how obviously inoffensive, must be threatened with horrible bloody death. Also he really does seem to have something against small birds in particular. Seriously, is your loft made to take that much weight? The loft pantry looks good! And yes, it’ll take that weight and a good deal more. It’s built on 2X8’s on 24-inch centers and basically sitting on the main cabin frame. I slept up there for six years and it doesn’t even creak. That’s a Phoebe – probably the same as last year. Ours have been around and active for the last few weeks. Not getting nests ready yet – but maintaining the territory near the nest sites. Don’t be surprised if you start to see nesting material back in the same spot within a few weeks – unless Laddie proves too much a terror. This time she’s welcome to it if she builds in the same place. I don’t have anything going on at that corner that should bother her. Last year she built her nest just before I was going to paint there.